A WALKER was hailed a hero after scrambling over a sheer cliff in an impromptu rescue of a stranded sheep. 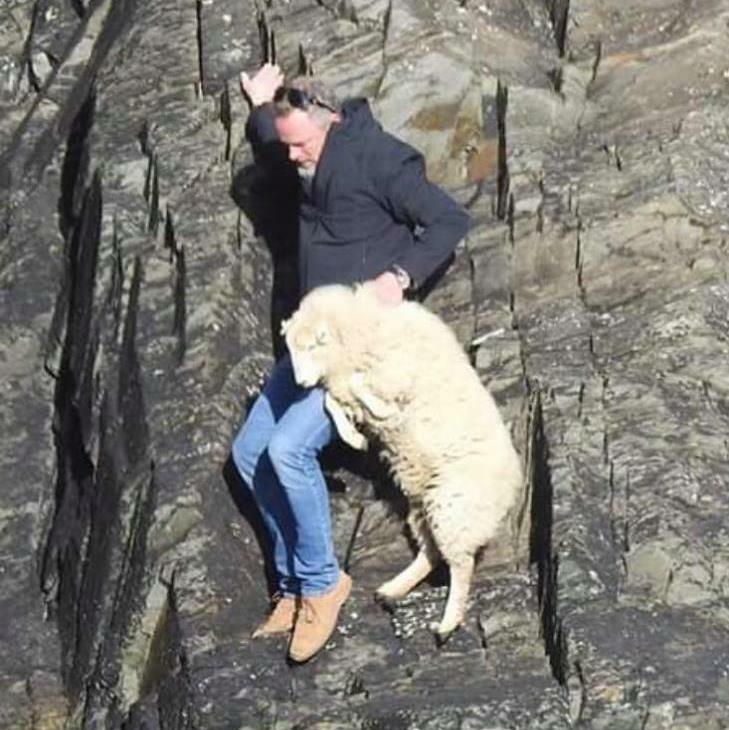 The unknown man was pictured on Facebook hauling the 8st animal to safety from rocks on the Pembrokeshire coast in west Wales. 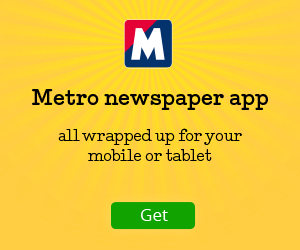 She added that once released near Abereiddy, the sheep ‘just trotted off none the worse for her experience’. 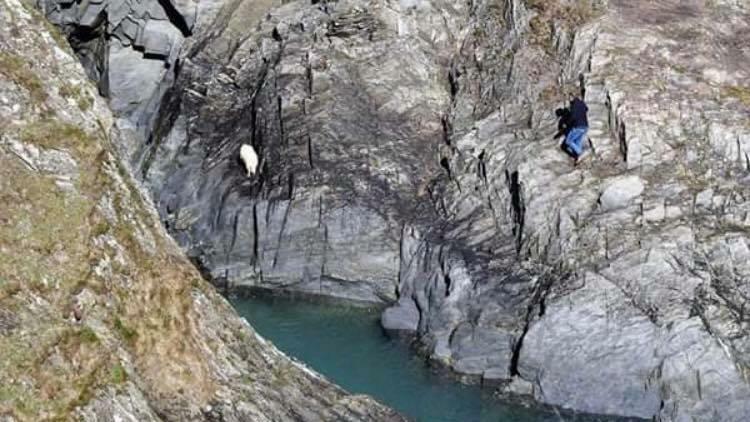 It came days after one of the RSPCA’s largest ever sheep rescues, saving 65 stranded on a cliff a few miles up the coast near Mathry.